Disclosure: This Inkspirations Adult Coloring Books post has been sponsored by Inkspirations. All opinions are my own. UPDATE 8/25/16 Exciting news adult coloring book fans!! 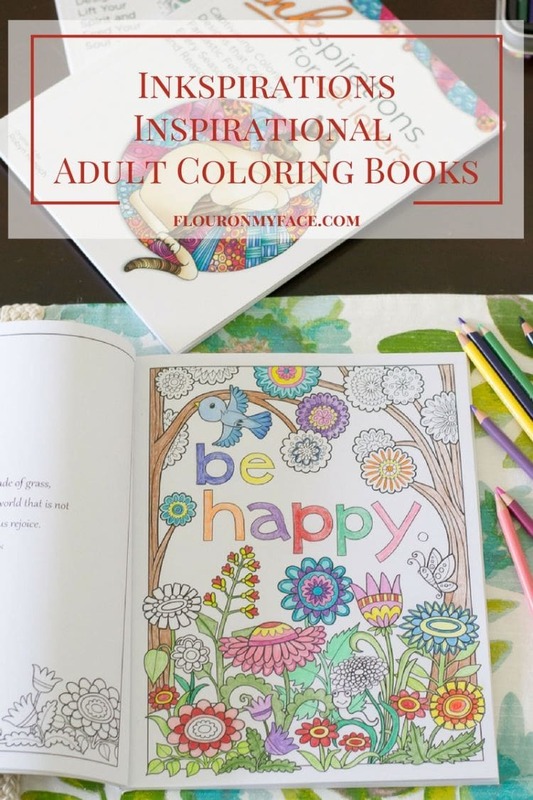 Inkspirations has added another one of their lovely adult coloring books to the giveaway! 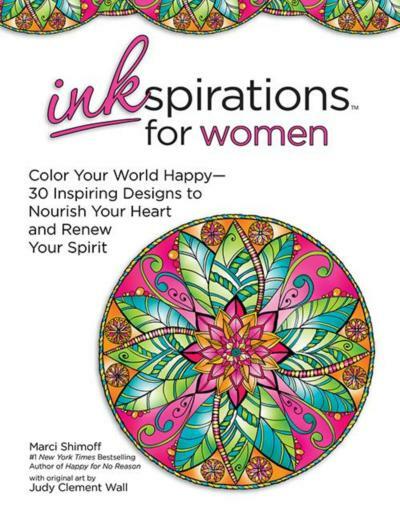 Inkspirations for Women by Marci Shimoff with original art by Judy Clement Wall! Have you been bitten by the adult coloring books craze! I have and I can’t wait to share with you the gorgeous and inspirational adult coloring books from Inkspirations. Once I had my Inkspirations adult coloring books in hand I couldn’t wait to begin coloring in the Inkspirations In The Garden coloring book. The pictures in the Inkspirations adult coloring books are so easy to color and can be colored quickly. Unlike some of the other coloring books I own where the pages are so full of small detailed lines that I never seem to finish coloring an entire page. 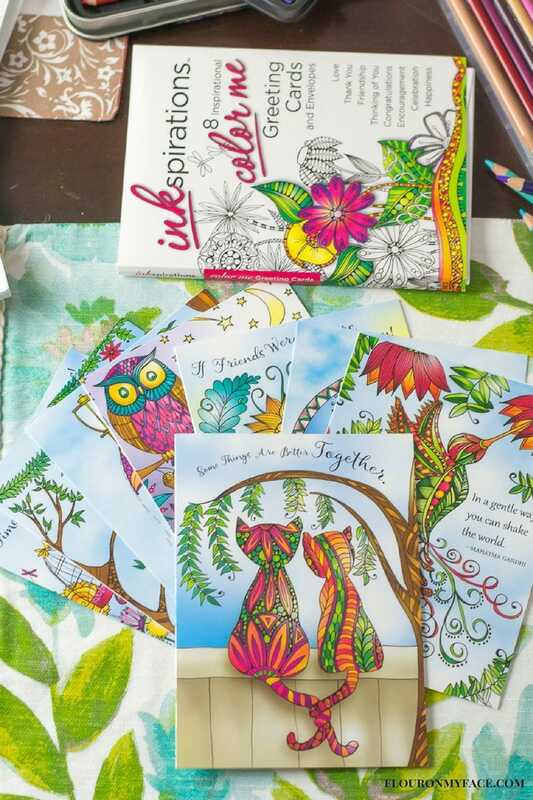 Inkspirations currently has 14 beautiful adult coloring books that are full of beautiful images to color and inspirational and positive quotes that lift the spirit. 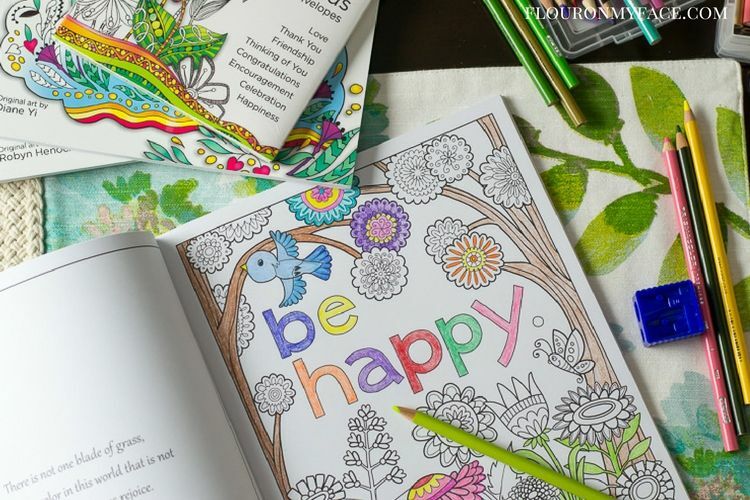 There is an Inkspirations coloring book for everyone who loves to color. 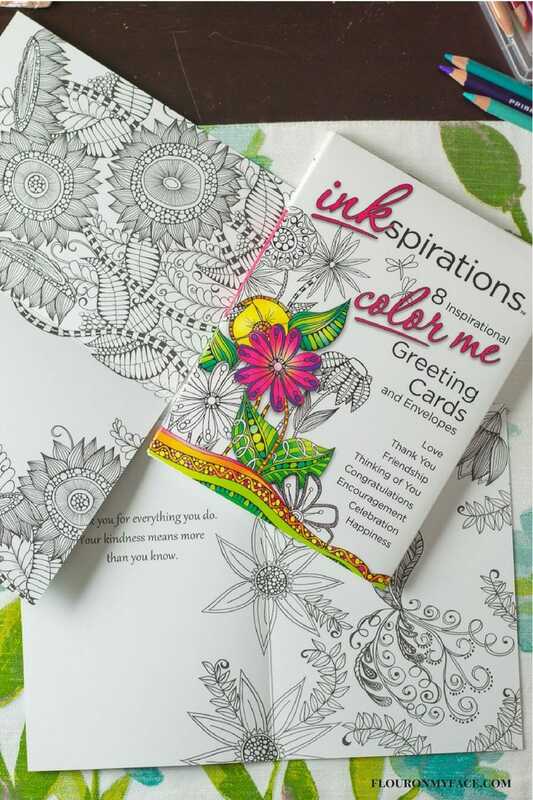 New to the Inkspirations line of adult coloring books are the bright and beautiful Inkspirations Color Me Greeting Cards. The new Inkspirations Color Me Greeting Cards come in an 8 card pack with envelopes. Each card has a beautiful and colorful design on the front of the card. Inside the card the design is reproduced in black and white so the card recipient can color the design. 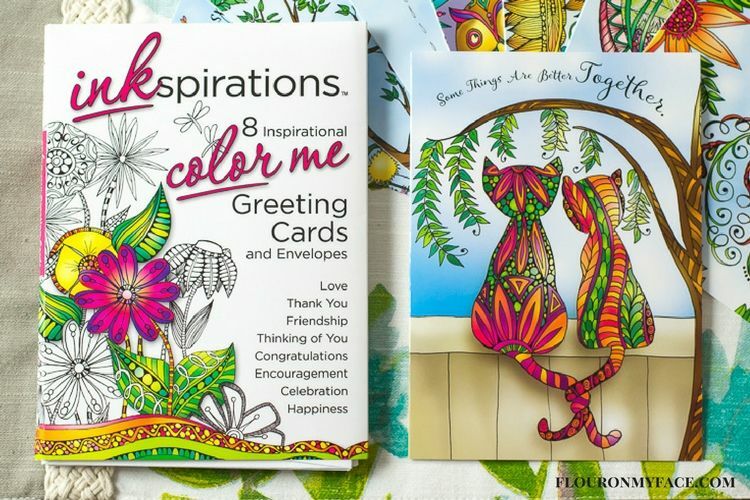 Inkspirations Color Me Greeting Card Themes include: Love, Thank you, Thinking of You, Happiness, Friendship, Congratulations, Encouragement, Celebration. 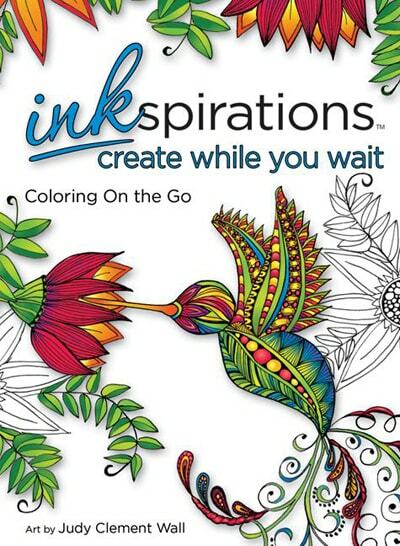 Inkspirations Create While You Wait is a handy 5 x 7 size adult coloring book that easily tucks into a purse or a bag for coloring on the go. 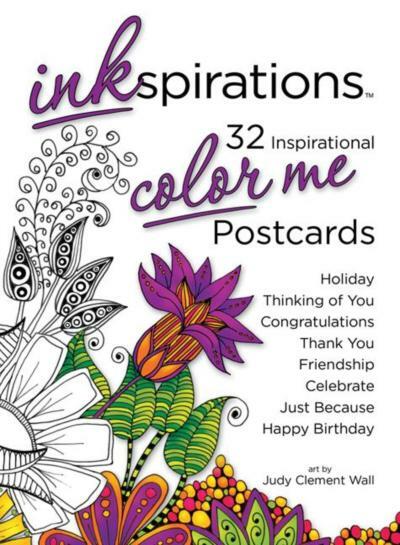 Inkspirations Color Me Postcards available in a set of 32 extra thick cardstock postcards for you to color and mail to friends and loved one to wish a them a Happy Birthday, Thank you, Thinking of You, Just Because, Congratulations, Encouragement and more. 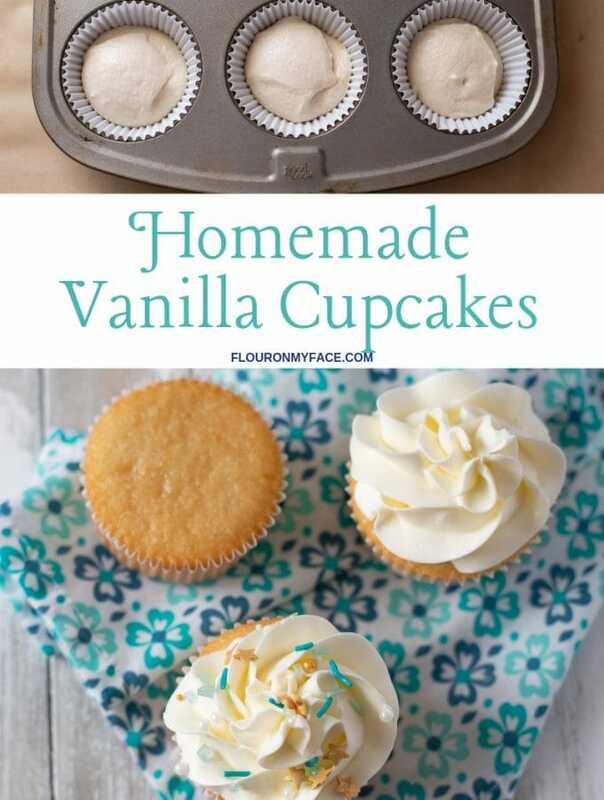 Cards can be mailed just like a postcard or tucked into a standard envelope. I am just getting started, so I don’t have a favorite yet. I am interested in checking out the postcards though. 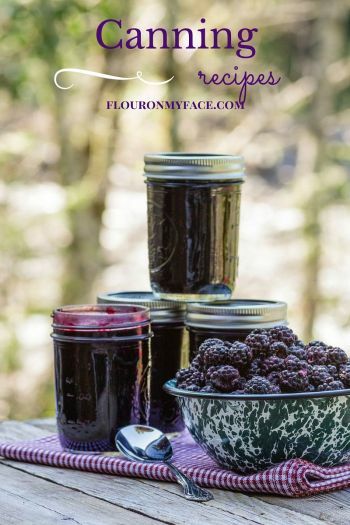 I just recently found your blog and LUV it!! Thank you Judy! Good luck! recently started coloring again. had an old coloring book by nephew gave me. 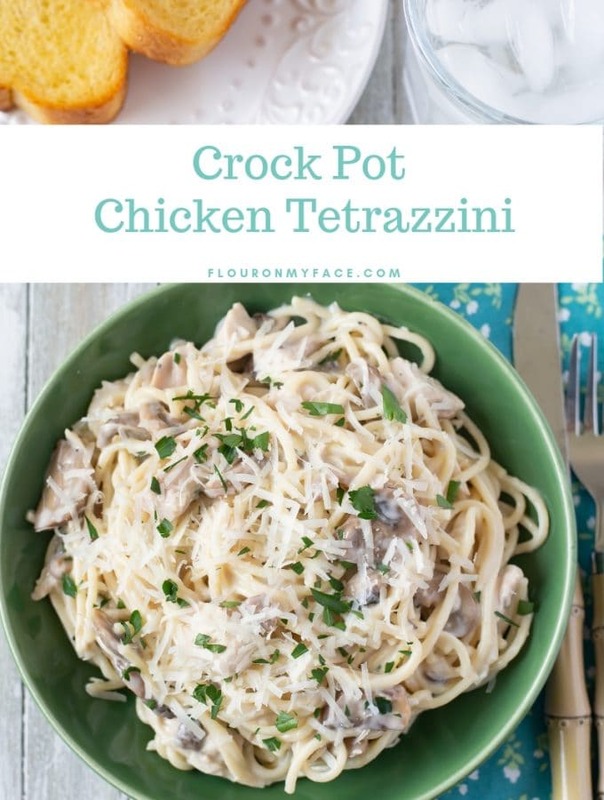 had no idea this was the new “thing” but it’s wonderful!! and so relaxing too. I’d love anything with a garden theme or tropical fish theme. or a forest! or boats! 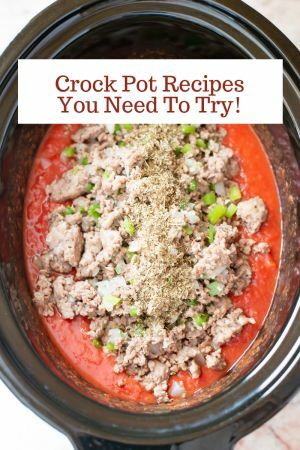 I guess I’d love just about anything! 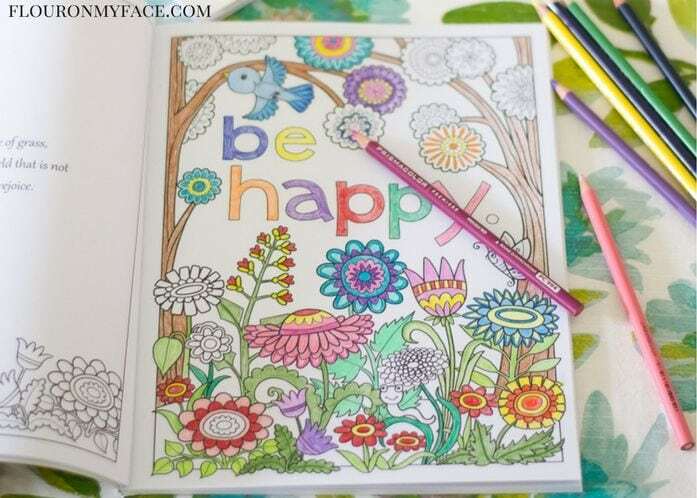 I like to color buds, butterfly’s and flowers. I am not sure because I have never had one.. Although I do like flowers. I’ve just started coloring. I have to remember that I don’t have to be perfect! I love flower coloring books. I enjoy coloring many different things, especially animals and other critters. I have lots of different books and I have found I really enjoy very intricate designs. I prefer the floral themes. I love anything with hearts so one of my favs is “My Heat Is Like A Singing Bird” and Secret Garden. I like the books with flowers. Hi Arlene! My favorite coloring books are the inspirational/Christian ones. 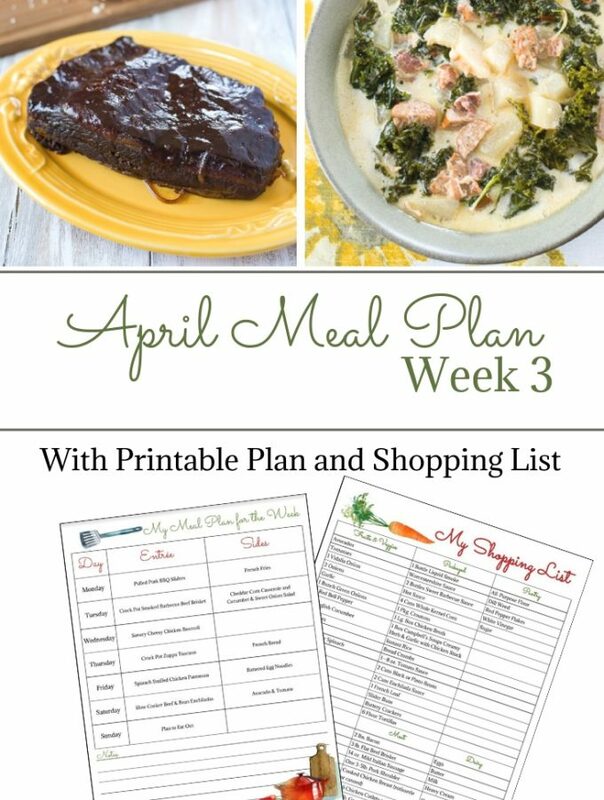 I have recently come across coloring planners which I think will be perfect for when I’m brainstorming ideas for my blog! I like mandalas and intricate designs to color. My favorite are birds and flowers. I enjoy ones with frogs or turtles. I still have some beautiful mandala coloring book from 20years ago that I just can’t part with. I like anything that has to do with Nature! By the way I love your Web site , so much great information. 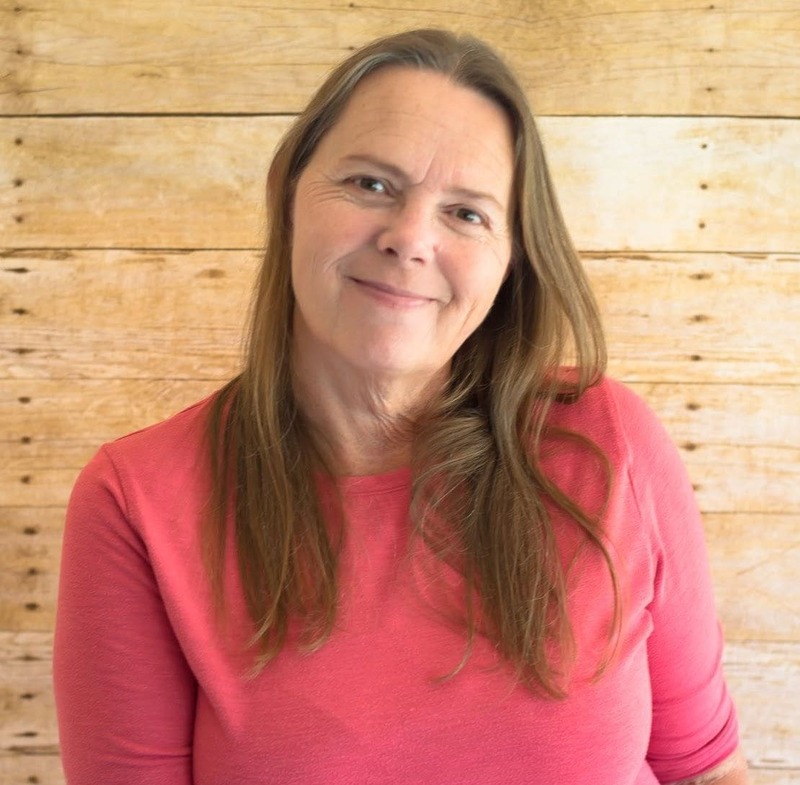 Judy thanks so much! Good luck! I like Christian inspirational coloring books. I really like abstract shapes. Aquatic is my favorite coloring book subject but landscapes are a close second. Basically if it need color, I’m game! I love the sea creatures ones the best. I prefer nature books and things with flowers but I have a bit of everything. I like the mandala coloring books but also the animal ones. I only have a few coloring books, so I can’t say I have a favorite type. Flowers maybe? I like them all they are a great way to shut down and relax! My favorite adult coloring books are the Mandala books, I love the designs. I love flowers but pretty much anything . I love to color. I like flowers and gardens coloring books. My favorite coloring books have Bible verses in them.